By Ian Pollard in News and Views, Uncategorized on 6th March 2018 . McCarthy & Stone plc MCS Despite trading in January and February having remained resilient MCS can not avoid sounding a bit worried in today’s update and is relying on trading being weighted towards the second half to help it recover from the first half where it had to rely for support on a large increase of 14% in the average selling price. . Its problem appears to be that even with such a whopping increase in average prices, it only managed to increase first half revenue by less than 1%, up from £238m. to £240m.. Basic maths would indicate that without the price rises, first half revenue could have fallen. It also admits that first half operating profit is likely to be in the order of about 12% of current market expectations for the full year. A further sign of the need for caution is that first half planning applications slumped from 34 to 21. Net debt for the full year is expected to have doubled from £30m. to £76m.One healthier sign is that the forward order book is up by 16% but of real concern is the impact which the proposed changes to ground rents will have on the company which is taking on the government in an attempt to ease that impact. Just Eat plc JE. produced an excellent performance in 2017 with revenue rising by 30% on an organic basis. Despite that the company still made a statutory loss of £76m. despite 10.5m. active customers purchasing £1.9 billion pounds worth of food. International revenue rose by 75% and now amounts to 44% of the total. EBITDA rose by 42% and basic earnings per share by 38%. For 2018 EBITDA is expected to rise to between £165m and 185m. Intertek Group plc ITRK is increasing its final dividend from 43p to 47.8p per share making a total increase of 14.3% or 2017. Adjusted profit before tax rose by 9.5% and diluted earnings per share by 10.4% at constant exchange rates. 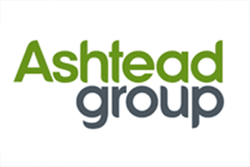 Ashtead Group plc AHT continued to perform well in the third quarter to the end of January, with strong growth in each of its markets. Over the first nine months, profit before tax rose by18% on a statutory basis and by 24% on an underlying basis. Revenue increased by 20% and earnings per share by 130% on a statutory basis.